Since resources are scarce, it makes sense to allocate budgets in ways that generate the highest yields. In the arena of consumer awareness and influencing the decision to purchase, Rob Wallace makes the case that money spent on package design results in an outstanding return-on-investment. He outlines a methodology to quantify this return, and challenges design management colleagues to refine the calculus. I've spent the better part of 20 years on the package/brand identity design pulpit.With my colleagues in corporate and consultant design, I have tried to spread the gospel of package design's pre-eminent role in communicating the brand's core identity, its emotional essence, and its primary connection to consumers. Together, we've shown that, if brought into the strategic marketing process early and given the chance to set the visual platform for all brand communications, package design can effect unprecedented results. Together, we've elevated even the term package design into brand identity design, better representing its role and importance. For most consumer products, we believe, package design is the single most sales-effective and cost-efficient marketing tool. This message has started to reach the larger marketing community. Yet, during this same time, the design management function inside many corporations has been ravaged by mandatory staff and budget cuts. Some of the largest, and seemingly smartest, consumer product corporations have reduced their brand identity management team from a position of partnership to that of caretakers of a process largely overlooked by executive management. Many of these corporations still don't engage brand identity until well after brand strategy has been established. And only a precious few actually validate the results that brand identity generates. What's wrong here? Although we've been promoting the right message, we've been speaking, in large part, to the wrong audience, using both the wrong tools and the wrong language. Quite frankly, we've been preaching to the choir. If we seek the recognition and acknowledgment of executive management, we need to stop talking about creativity. We need to stop talking about process.We specifically need to stop talking about driving costs down and speed up. In addressing an audience that believes, "If you can't measure it, you can't manage it," we need to start speaking about return on investment. And to do this, we need a tool that empirically quantifies the value of package/brand identity design in terms of dollars and, in their minds, sense. For the great majority of consumer products, package design is the single most effective communicator of a brand's core identity. Based on consumer buying decision dynamics, package design is also the single most influential marketing communications tool. Let's analyze these statements by several widely accepted measures. Let's start with efficacy:Which tool has a higher influence on sales? Research shows that well over two thirds of consumer product purchase decisions are made at the point of sale. In some categories, impulse purchasing at shelf accounts for much as 85 percent of sales.1 It is quite evident that brand identity and package design drive this all-important dynamic. Regardless of when the purchase decision is made, packaging is certainly the last opportunity a company gets to influence consumer perceptions. Even if your brand makes the shopping list, when the consumer gets to the shelf, he or she will be influenced not only by your package but also by your competitors' packages. In both print and TV advertising, you'll notice, competitive commercials and print ads are intentionally buffered so that they do not run adjacent to one another. But in the store, the competition is always sitting right next to your brand, pulling at your consumers' loyalty, providing a new promise, evoking a new experience. It is vitally important that your package capture consumer hearts, as well as their eyes. Lets analyze packaging design, as my advertising friends do--in terms of recall, also known as "brand equity." Cross-category studies show that in unaided awareness tests, consumers remember more about the package than they do about the advertising or promotions. Try it yourself: In your next research session, before you show consumers anything, ask how they remember your brand. 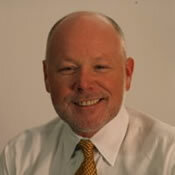 Based on his analysis of hundreds of brand equity studies, Elliot Young, chairman of Perception Research Services, confirms that consumers recall the color of your package first, the shape of your package second (if you have a proprietary or distinctive package structure), and the style of your brand logo third. These features prove to be the most recognized components of your brand's equity. Another advertising measure by which we can analyze brand identity is impressions. Figure that every consumer who has a potential interest in buying your brand will be influenced by your package. That's 100 percent of your current and potential audience. Imagine what your media budget would be if you had to guarantee that every one of your potential consumers saw your ad! And don't forget--your package's influence continues well after the purchase is made. It remains in the pantry, on the vanity, throughout the home, reinforcing brand perceptions every time it's seen. If we analyze packaging from another measure, sustainability, we'll see that the investment in package design is far more lasting than for advertising, sales promotion, or direct marketing. In our experience, a package/brand identity system frequently outlasts up to three ad campaigns and more than eight promotion cycles. Quite simply, packaging is a far more pervasive and permanent part of the brand communications platform than any other marketing tool. Package/brand identity design also proves its value in terms of cost. Brand identity budgets are literally dwarfed by those dedicated to advertising. Even if you discount advertising's huge media expense, on average creating an effective package and brand identity system is still a fraction of the cost of producing a single 30-second commercial. Please understand that I am not ad-bashing. Yes--all brand communications vehicles provide an essential role. And absolutely yes, synthesizing these efforts into one cohesive visual, verbal, and experiential message is the key to successful brands. However, for most consumer products, package design is the hardest working, most sustainable and most cost-effective tool. As evident as these facts may be, they are still soft measures of brand identity's value. To prove them empirically, we need to be able to directly tie package design to increased sales. In the past year, I have been exploring ways to initiate a "best practice" for measuring the direct impact package design has on sales and profits. I asked a wide variety of people in the design, marketing, and research industries for their thoughts on quantifying package design's ROI. It was a topic that sparked a great deal of passion. Almost every person I spoke with expressed a strong opinion. However, precious few had ever proven brand identity's impact in tangible financial terms. To me, this spoke of a need for a more comprehensive survey. I chose 50 corporate design managers and brand identity consultants as respondents for a survey that asked respondents if they had any current measures in place to track the financial value of brand identity, product design, advertising, sales promotion, direct marketing, or other marketing communication programs. I used follow-up phone calls to help complete their responses. Although just over half actually responded, their insights point to interesting opportunities for further study. More than several respondents knew that their companies measured the financial impact of advertising and consumer promotions. And a great majority of respondents kept meticulous track of their package design project budgets. However, of those who responded, only one verified that his company had a measure currently in place to track package design's direct impact on brand sales and profitability. Unfortunately, the company considers its process one of its competitive advantages; therefore, it is reluctant to share its methodology and its findings. Virtually all the respondents agreed that an accurate measure of brand identity's return on investment would be very valuable. However, I found that in general my colleagues had three central concerns about such a process.